When it comes to office paint colors, sure, the sky may be the limit, but you might be surprised to find out just how vital it can be, and how important the color you introduce is when it comes to promoting productivity and everyday joy. That said, color is key when it comes to interior paint ideas for offices in 2019. Gone are the days of cold stark white minimalism in office spaces – as statement-making color is making a comeback. More and more thought is being put into making offices feel more inviting with increasing productivity and creativity as the main focus and source of inspiration. And as you can imagine, this means color, as a quick coat of paint, is one of the most effective and affordable ways to boost the energy of any office space. To further illustrate the many directions you can take when it comes to office paint colors, here are the 10+ best interior paint choices for the office, whether that’s at home or away, straight from the wisdom of Décor Aid interior designers. 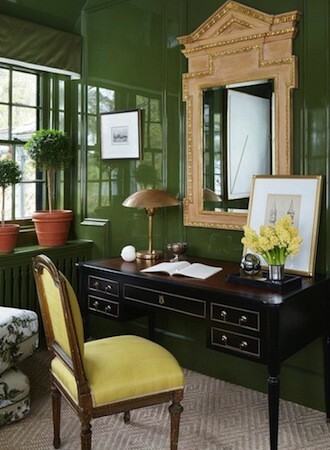 Deep forest green is dramatic; in a large office space it might not be a color you want to use everywhere, but it’s certainly good for a brilliant feature wall or for a cozy cubbyhole or meeting space. Green is great for inspiring the mind (making it the perfect choice for a creative office space), and deep greens are surprisingly warm and are wonderfully natural and earthy. 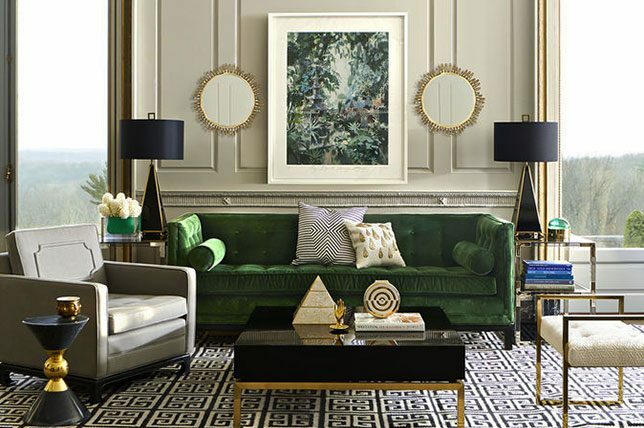 Teamed with dark woods and coppery metallics, pale neutrals and warm natural tones, forest greens are sure to bring with them a sense of enviable strength that will tie any room together with ease. Forest green also pairs well with all styles of office furniture, from the minimal to charming Mid-Century Modern finds. Another great color for a feature wall, or intimate space in an office, a striking blue like this boasts extra depth to it and it’s relaxing and powerful at the same time. A soothing color which is inspirational and can be paired with so many other colors, a deep blue is a great choice for a bustling modern office space. As we know, blue looks great against the cooler tones of white and grey and is equally stunning against bold colors like yellows and greens. 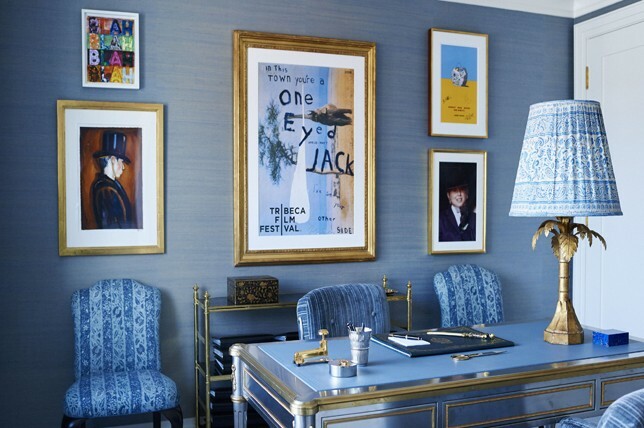 The key here is to bring in deep blues in bright and airy office spaces so the look doesn’t come off as dreary and tiring. And be sure to pair it with lighter flooring for extra drama and dimension. 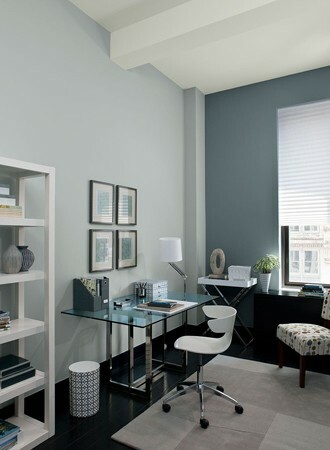 If you are after soothing interior paint for offices, then a blue-note grey makes for a timelessly chic choice. It’s calming and relaxing, whether you go for one of the deeper and darker colors, or one lighter and airier. 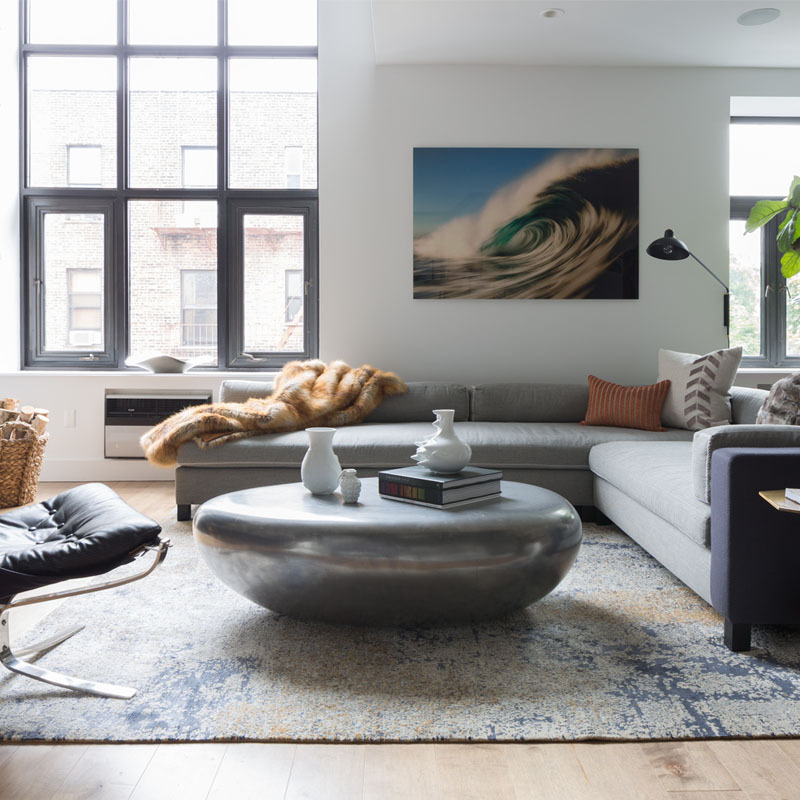 They can be warmed up and cooled down with accessories, plants and soft furnishings, to create a cool industrial space or a homelier, more comforting area. 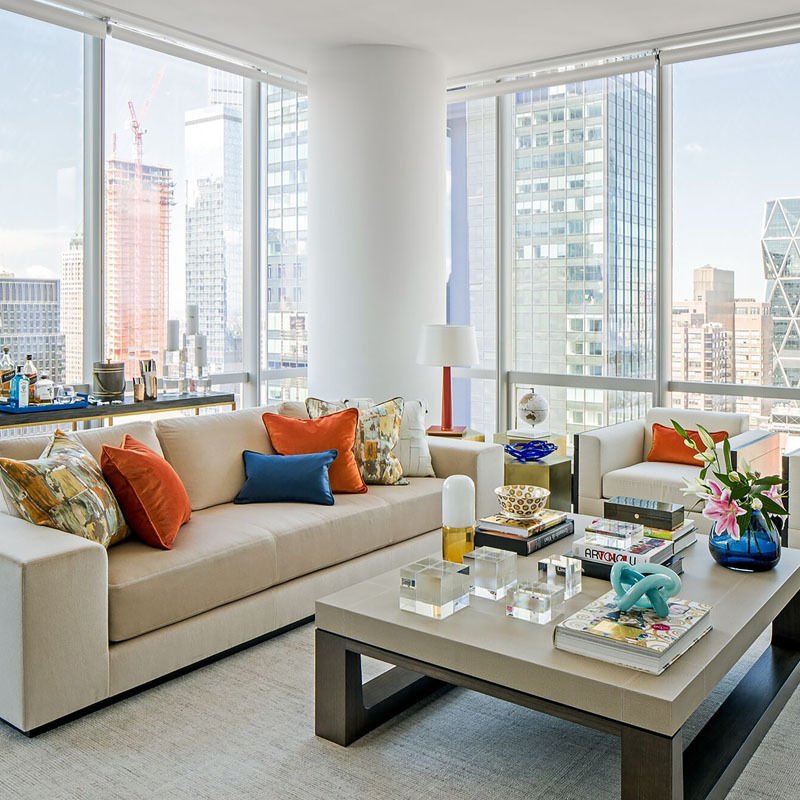 If you are looking for the best on-trend interior paint for large office spaces, then this is probably one of the best, as it isn’t overbearing when done well. 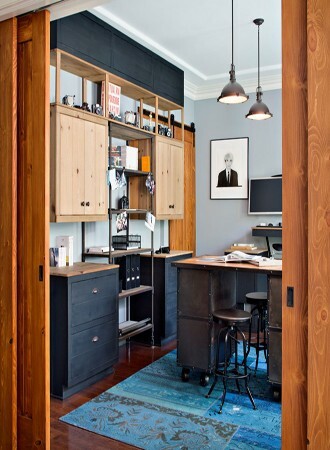 Plus, it looks great when paired with similar colors and metallic finishes like in the charming office above. If you want to create an office space which is light and airy, then a pale misty blue has to be one of the smartest corporate office paint colors to consider. Misty blue looks great painted across large areas of office walls and reflects light well, opening up the space. Perfect for helping darker spaces move into the light and for encouraging light spaces to be less clinical in feel. It’s also a good background color for highlighting mirrors, wall art, sculptures, and any other decorative features you want to display in your office. And it looks terrific paired with the type of darker office furniture that’s been popular over the past decade or so. Not a color you would traditionally think of when it comes to the best interior paint for office spaces, but it’s sure to be a contender. 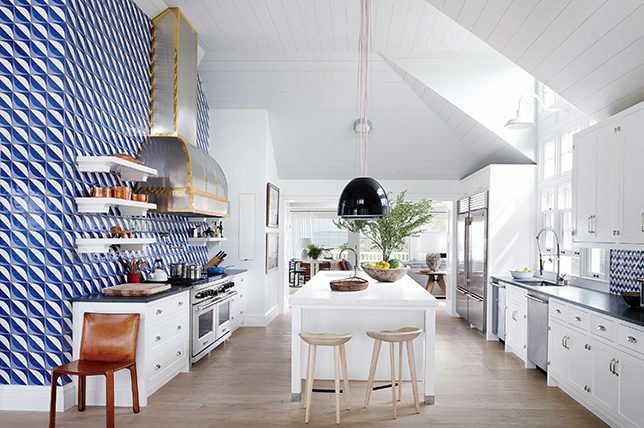 It looks great alongside pretty much all of the office paint colors featured on this list. Create some interest by painting a recessed wall or alcove in an inky blue or using it to contrast with the traditional bright whites of offices. A color like this lends itself to metallic accompaniments to add extra warmth and a bit of everyday elegance. 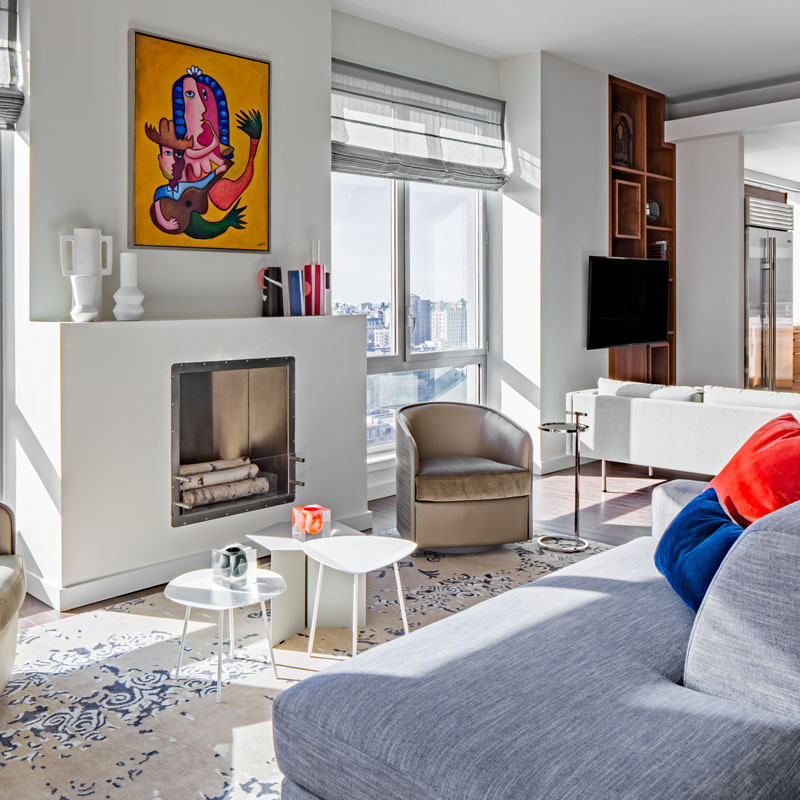 We like the fact that the office owner of the space pictured above used it on a major wall unit but was clever enough to leave the white trim exposed for a needed visual break so it wouldn’t come off as heavy-handed. 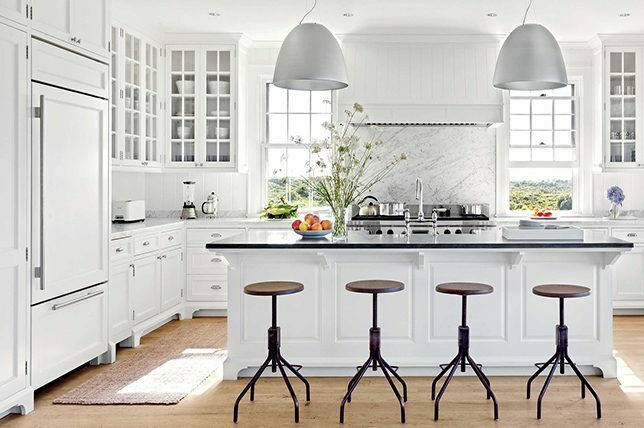 If you can’t quite move fully away from stark whites, then a pale grey-white may satisfy your desire for cool white and color at the same time. 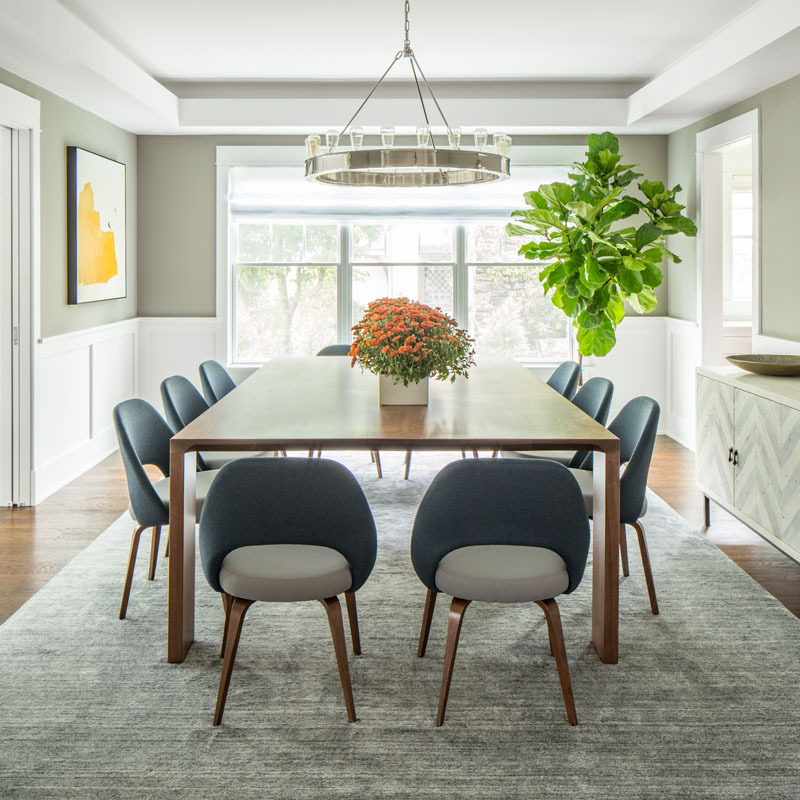 A pale grey-white is perfect for expansive walls and office space with lots of people in it – loud colors may be too abrasive in such a large space. Looking good alongside white and wood office furnishings alike, it’s about as flexible as commercial office paint color ideas get. 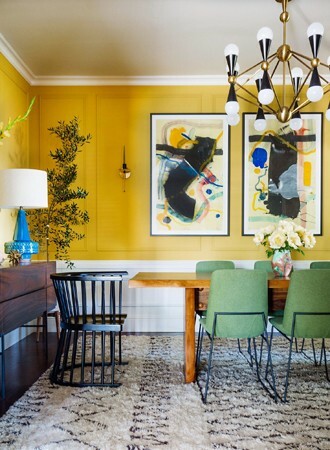 This is an especially sound color if you aren’t renovating the entire office and are just going for a mellow jolt of color. Plus, it’ll be a worthy investment as it will never go out of style and can conceal stains and scratches better than classic white ever will. 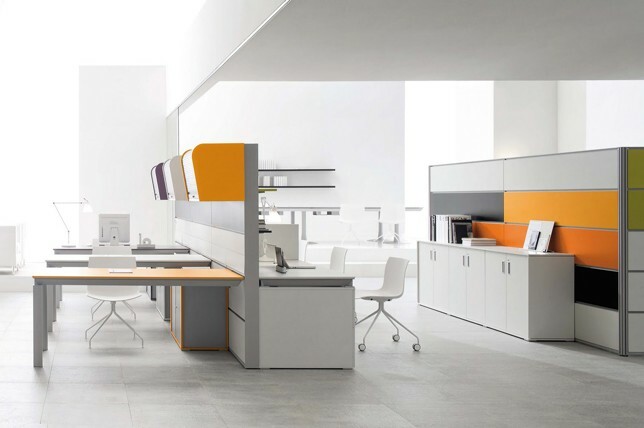 Okay, so we weren’t entirely truthful, white is still a timeless go-to option for office paint color ideas, but do yourself a favor and inject some color in other ways to really bring your office to life. 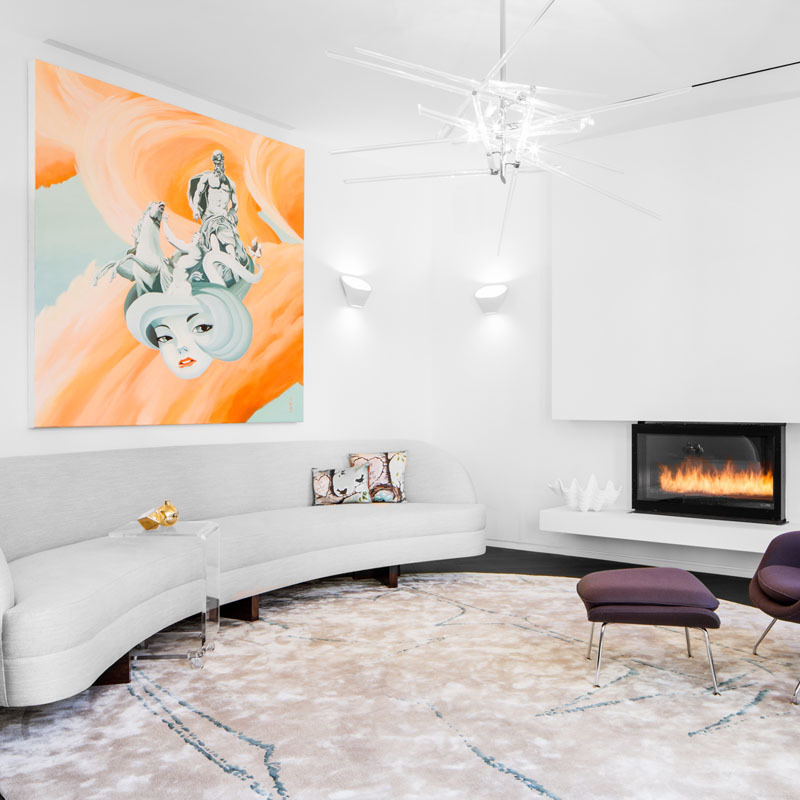 Icy white is great if you have a small office space and you need a way of keeping the space light and airy; white is reflective in its nature and is always a good option for making an office space feel larger than it really is. As interior paint for office spaces goes, white is always a safe choice, so you if you aren’t too adventurous and you just want to freshen up the space, then this is a good option. That said, note how the white office above really feels so much more than that thanks to dramatic hits of dark color enclosing the space for a wonderfully graphic look. A soft lilac grey is a pretty color which is soft and soothing. It’s has a surprisingly warm tone to it, making it a good interior paint color for an office seating area or reception area. It’s a comforting color, so it will also look great in an intimate meeting area or will make a welcome change in smaller work cubicle spaces. 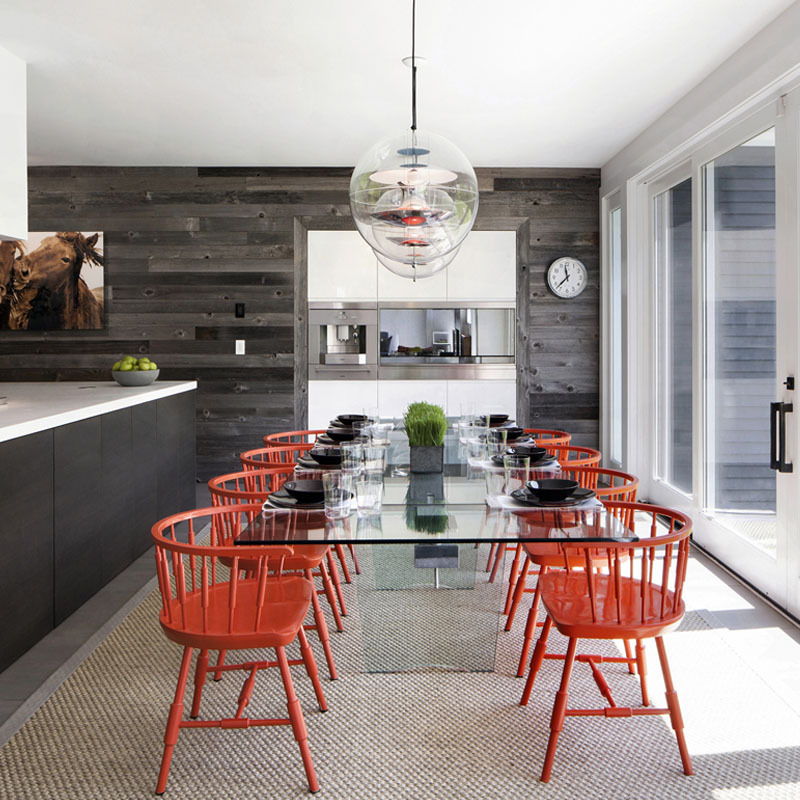 One of the biggest benefits of a color like this is that it goes with all manner of furnishings; from dark wood, to light wood, to white. 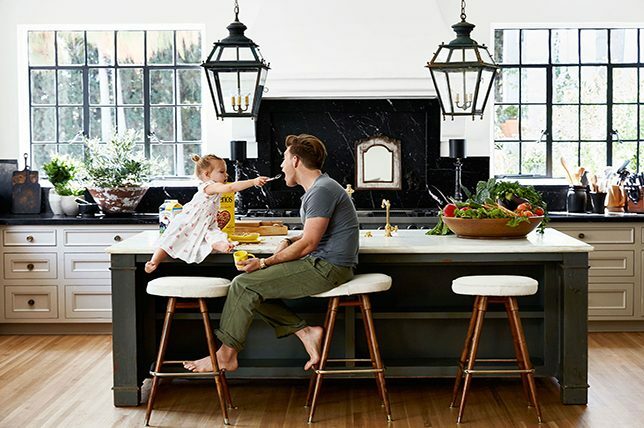 The key here is to pair it with more gender-neutral styles to keep the look from coming across as too saccharine or feminine. If you want to go for something completely different for your interior paint ideas for office, then a rich golden yellow is the way to go. If you have a small office space to work with, then a yellow like this is a great way to introduce some fun and some needed depth. 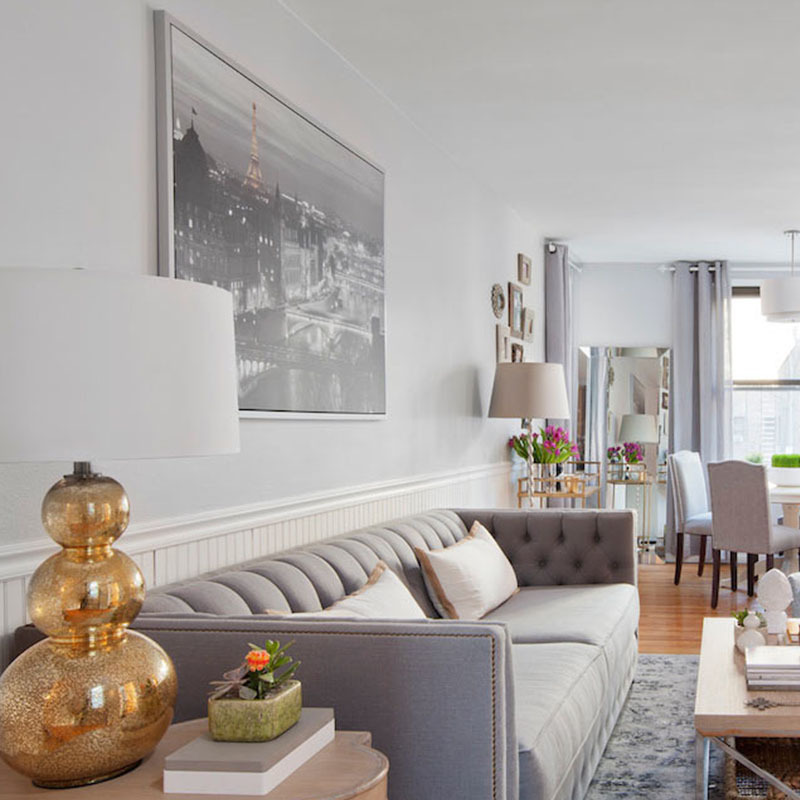 Also, it makes for a great choice for a feature wall in a larger space, but is still great as an all-over paint color, even in a bigger space. A surprisingly flexible color (which might come as a surprise to you), golden yellow looks great in a traditional office setting or something more modern and current. If warmth is what you want from commercial office paint color ideas, then say no more – a rusty clay is a great color for you to consider. A color like this is comforting and will cocoon you in its depth of tone, making a nice change from the cooler colors we traditionally see in office spaces. This would be a great color for a communal area or a relaxed meeting area in your office as it’s much less formal than standard white or grey and won’t feel out of style any time soon. 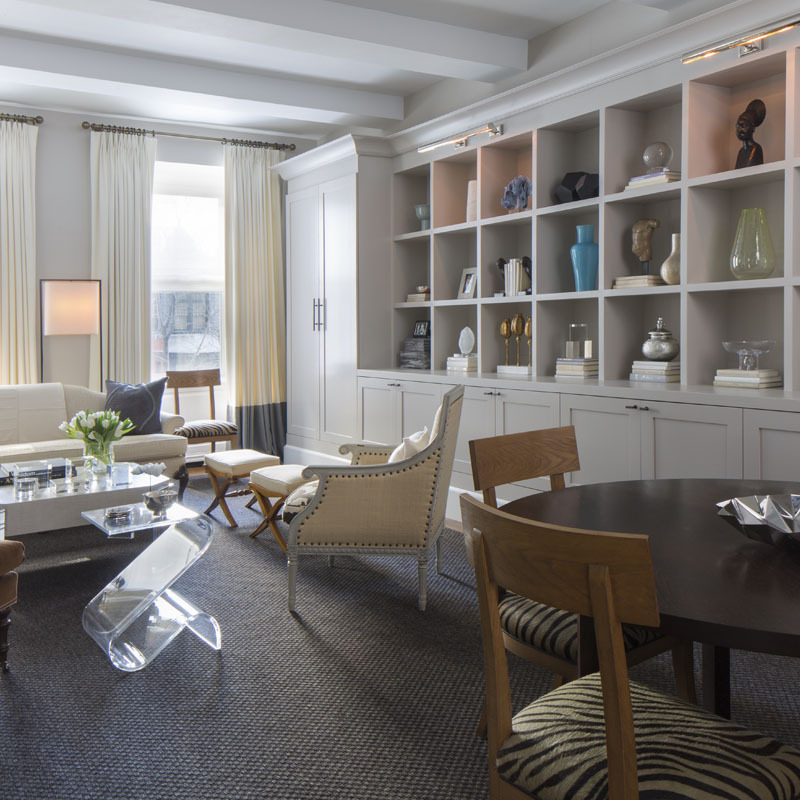 But when it comes to stronger office paint color ideas like this, our interior designers suggest using it to inform the space as a singular tone, rather than bringing in additional colors that will only work to confuse the eye and overwhelm the senses. 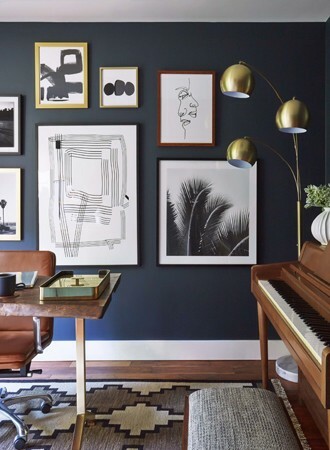 By color blocking the office above, the space looks so much more dramatic, elegant, and well-judged. Just imagine how different it would look in one simple color. By only painting the lower half of the wall unit, the office looks much bigger, more expensive, and sophisticated. 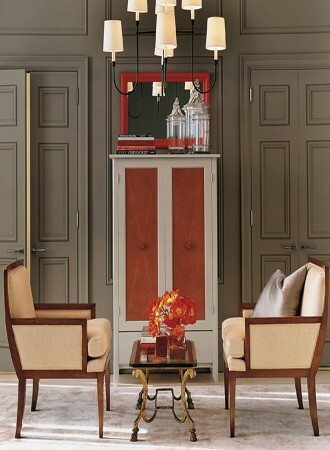 Plus, since it is only a small portion of space to repaint, you can easily update the color affordably as time passes. And, it will look forever modern and inspiringly cool. 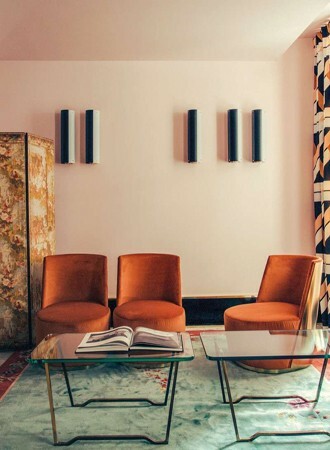 Perfect for pairing with Mid-Century Modern office furniture and vintage finds, a dusty peach is a soothing color that’s both timeless and full of life. It will help you add an unexpected sense of play while remaining grownup and chic for a lifetime and beyond. And while it is a color full of subtle personality, it looks brilliant paired with other mellow tones, like in the reception area pictured above. 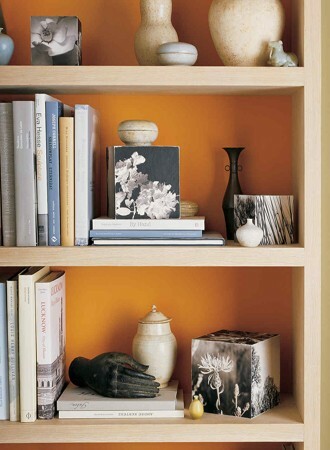 Have fun with a faded dusty peach and bring in complimentary colors and statement-making furnishings. A smart alternative to white office paint colors, you can never go wrong with a classic cream wall color. 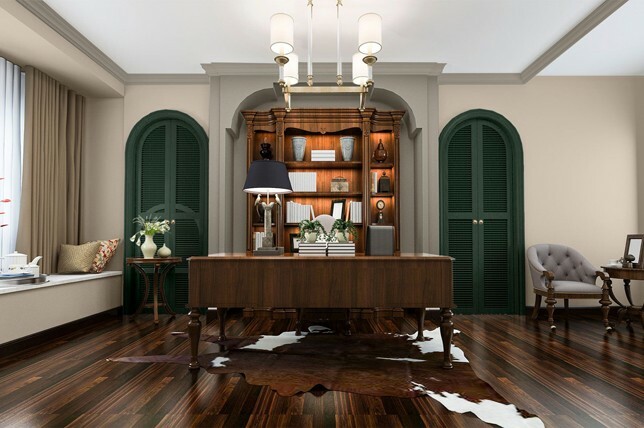 The key here is to pair it with other sensational colors like in the office pictured above, to really inject a sense of heady personality and elegance. Our interior designers were quick to point out that by using a complimentary colorway limited to no more than three shades, the office looks ultra chic, well-informed, and unforgettable. Follow a similar path and you’ll be sure to boost office moral while keeping everyone inspired by the beautiful space you’ve created for them to work in. 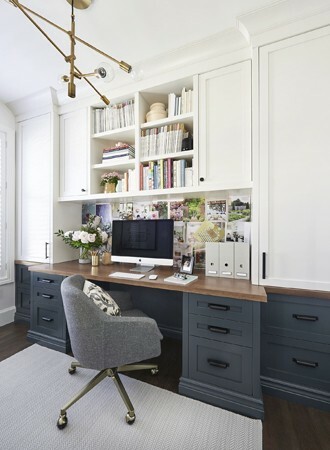 Looking for savvy office paint color ideas that are out of the ordinary but are sure to never go out of style or come off as dated and dark? A moody matte brown can do wonders to make your office space a warm and elegant standout for years to come. 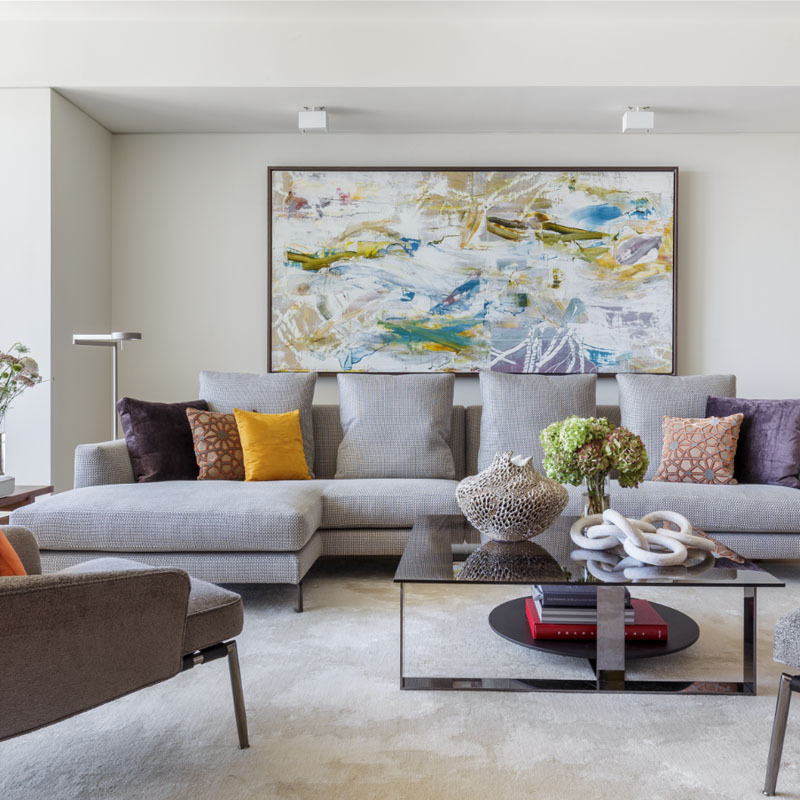 To get the look right, be sure to stick to classic color pairing and bring in lighter toned soft furnishings and patterns to compliment that colors handsome energy while keeping the entire space from coming off as too dark or heavy-handed.